These days, a poet typically has to die to get attention from the mainstream media. The obituary roundup of a poet's life is a well-defined genre of essay—always written in that of-course-we-all-know-who-this-person-was voice, even though it often proves the first time mention of the poet's work has appeared in the publication. Ferlinghetti's centennial thus makes for something nice this spring: the national celebrating of a poet still alive for the celebration. It's just not clear what exactly we're celebrating Ferlinghetti for. His latest book won't answer the question. A sort of autobiography, sort of novel, sort of prose poem, Lost Boy has been published to coincide with Ferlinghetti's birthday, and the story it tells follows the poet's own strange childhood. With the death of his father before he was born, Ferlinghetti was essentially given up by his mother, ending up the ward of a wealthy couple the age of his grandparents. After service in the Second World War, he got a master's degree in literature from Columbia before traveling to Paris to get his doctorate. Little Boy remembered especially the dinners every night in the formal dining room with the big-boned Dutch butler who also served as chauffeur and was not used to butlering and juggled the serving dishes, while [his nanny] Tante Emilie conversed in French with beautiful daughter Sally, and the parents at opposite ends of the long table chiming in from time to time . . . for it was stylish back then to speak French and make grand tours of the Continent, especially Paris, and Aunt Emilie no doubt charmed them until a few months later she must have charmed [the father] Presley Bisland a little too much for Madame Bisland, and suddenly Aunt Emilie was gone from that house . . . . If that run-along single sentence reminds you less of the 2010s and more of the 1950s, it should. That was the era of Dylan Thomas's long phrases, playing tag in the poetic prose of A Child's Christmas in Wales (1952). The era of Jack Kerouac's read-till-you-absolutely-have-to-stop-to-take-a-breath writing in On the Road (1957). The era of William S. Burroughs's twisting sentences in Naked Lunch (1959). And the era in which Ferlinghetti was formed as a writer. One wants to praise the fictionalized autobiography of Little Boy, if only because its seems so marvelously out of date. And the first dozen pages or so of the slim book are a wonderful throwback: sweet while being a little cynical, childish while being a little wise, lush while being a little spare. Unfortunately, thereafter the 190-page book quickly descends into something fairly drab. 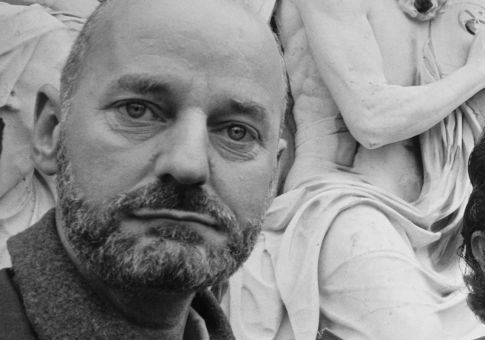 The most ordinary of left-leaning sociopolitical claims rise to prominence, and Ferlinghetti sentimentalizes his political sentiments—congratulating himself for the bravery of holding views that, in his current setting, cost him nothing: "So, watching animals in clothes in downtown streets and where is everyone going? It's a short story and a long story of greed in the face of Gandhi." Ugh. But hasn't something similar always been true of Ferlinghetti? For all his work over the decades, has he ever written a genuinely satisfying book, a book that keeps the reader's attention till the end? The publisher, New Directions, would not have issued Little Boy if it were by someone else, and that seems the story of the man's career: A reasonably good if distinctly second-tier writer, Ferlinghetti has consistently bulked up his books with third- and fourth-tier work, and he's somehow gotten away with it because he's Lawrence Ferlinghetti. For all that he first rose to national prominence by using his City Lights imprint to publish Allen Ginsberg's Howl in 1956, Ferlinghetti has always denied that he himself is a Beat writer—and rightly so. The prose of Little Boy is actually as Beat as Ferlinghetti has ever been, and his first volume of poetry still showed traces of the decidedly non-Beat T.S. Eliot, the poet with whom the young Ferlinghetti was first enamored. Those traces wouldn't last, but Allen Ginsberg, Gregory Corso, and all the rest of his contemporaries failed to turn him into a Beat. "On a freeway fifty lanes wide / a concrete continent / spaced with bland billboards," he writes of America in A Coney Island of the Mind. Ferlinghetti's work belongs, in truth, to the populist genre of low American modernism, in contrast to the high modernism of Eliot and Pound. Carl Sandberg, Vachel Lindsay—even Langston Hughes and Robinson Jeffers, to some degree: This is the line in which to place Ferlinghetti. Sadly, he washes out from the picture, fading into the background, in the company of the best of those low modernists. Maybe that's why so much of the centennial celebration of the man this spring concentrates on his City Lights publishing and his social activism, rather than his artistry. Still, the first chapter of Little Boy is a triumph—almost 70 years out of date, and all the better for it.